Clyde E. Brown, 89, of Carmi, passed away at 7:46 a.m., Tuesday, March 19, 2019 at Deaconess Midtown in Evansville, IN. He was born in Fairfield, IL on September 22, 1929 the son of Harold and Mildred (Flanders) Brown. Clyde married his high school sweetheart Jean Harlan on September 30, 1949 and she preceded him in death on March 18, 2013. He served in the United States Army during the Korean War where he was stationed in Germany. Clyde worked as a salesman for Oil Well Supply and later Bradford Supply. After he retired he started a painting business. He was an avid walker, enjoyed drawing, fishing and hiking the Shawnee Forest. Clyde loved his morning routine of coffee with the McDonald's crew. 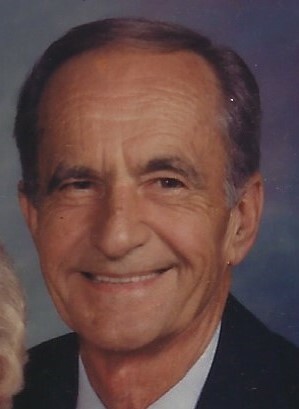 Clyde is survived by a daughter, Kay (Mike) Loomis, of Carmi; sweetheart and companion, Wanda Douglas of Carmi; four grandchildren, Megan (Matt) Campbell, Katie (Matt) Whetstone, Aaron (Danielle) Brown and Brianna (Aaron) Garcia; five great-grandchildren, Zane Campbell, Mila Campbell, Harper Whetstone, Asher Brown and Declan Brown and one grandson due any day. He was preceded in death by his parents, his wife, Jean; son Douglas Alan Brown and grandson, Joshua Loomis. Funeral services for Clyde E. Brown, 89, of Carmi, will be held at 10:00 a.m., Thursday, March 21, 2019 at Campbell Funeral Home in Carmi. Burial will be in North Maple Ridge Cemetery in Carmi. Visitation will be from 4:30 p.m. until 7:30 p.m., Wednesday, March 20, 2019 at Campbell Funeral Home. In lieu of flowers, memorial contributions may be made in Clyde's memory to Pets At Risk and will be accepted at Campbell Funeral Home.